Poetry and prose to reframe your days, renew your spirit, and help you approach the world with an eye towards the positive, meaningful moments—with gratitude. 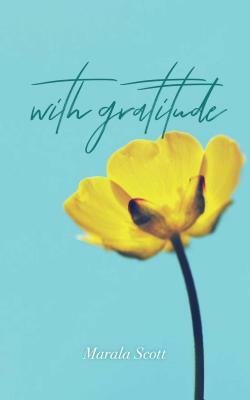 With Gratitude is a collection of relatable experiences that will inspire you to recognize the good in beautiful and difficult situations—both past and present. It is a meditation on the benefits of appreciating love, loss, relationships, and fleeting moments of kindness. Marala Scott is an author and inspirational speaker. Her writing is centered on life-changing words of love, encouragement, unwavering faith, strength, and wisdom. She was named one of Oprah Winfrey's Ambassadors of Hope and is the recipient of a Congressional award for her humanitarian efforts.